Reuters UKIt was always a long shot - "Kebab King" Ibrahim Dogus only stood as a Labour Party candidate in one of the richest parts of London to offer voters an alternative. 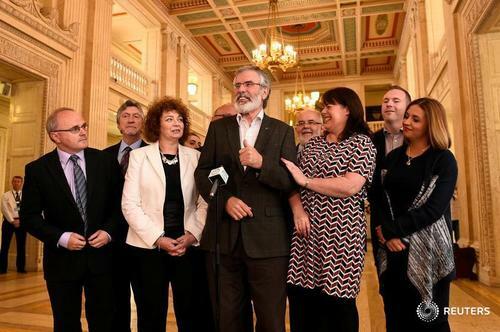 Reuters UKBritish Prime Minister Theresa May announced a minority government she said would be backed by a small Northern Irish party after she lost an election gamble days before launching talks on Britain's departure from the European Union. 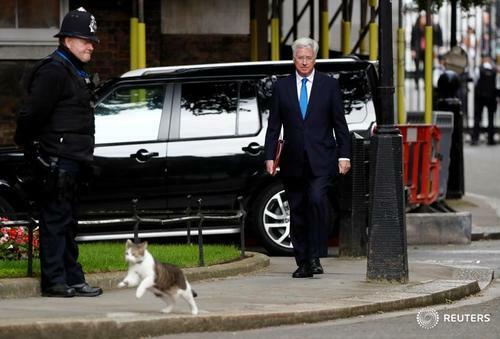 With all 650 seats declared in British election, Conservatives on 318, Labour on 262 seats. 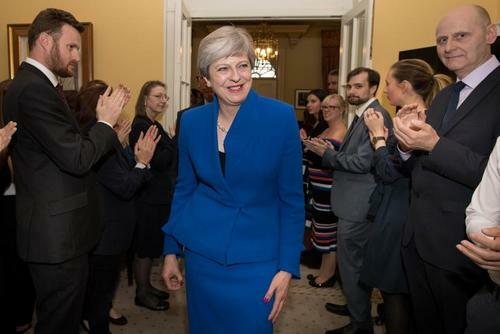 Despite her dramatic electoral upset, British Prime Minister Theresa May appears determined to stay in office. Commentary: Theresa May is right to stay. For now. must calm the febrile political atmosphere. 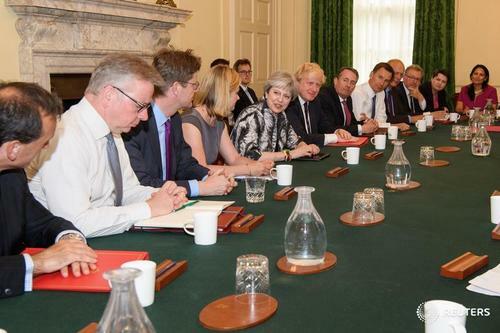 Reuters UKPrime Minister Theresa May reappointed most of her ministers on Sunday but brought a Brexit campaigner and party rival into government to try to unite her Conservatives after a disastrous election sapped her authority, days before Brexit talks begin. 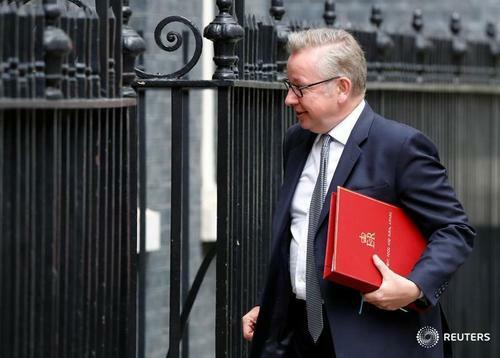 Reuters UKUK Prime Minister Theresa May reappointed most of her ministers on Sunday but brought a Brexit campaigner and party rival into government to try to unite her Conservatives after a disastrous election sapped her authority days before Brexit talks begin. 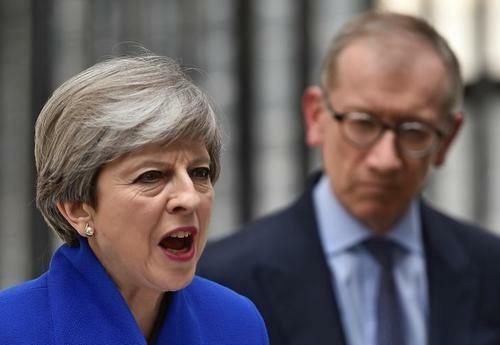 Reuters UKTheresa May's insistence on starting Brexit negotiations next Monday is questioned by Britons who think the prime minister's calamitous election setback means she should now seek to stay in the EU single market. 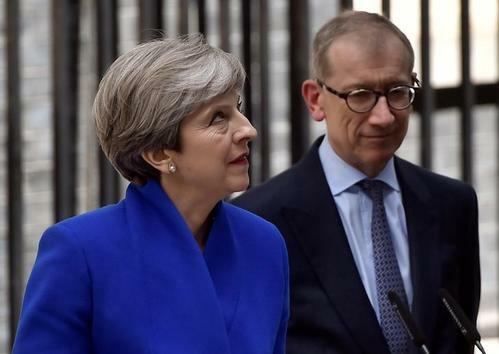 Reuters UKBritish business confidence has fallen sharply since last Thursday's inconclusive election that left Prime Minister Theresa May weakened ahead of Brexit talks, according to a survey by the Institute of Directors published on Monday. 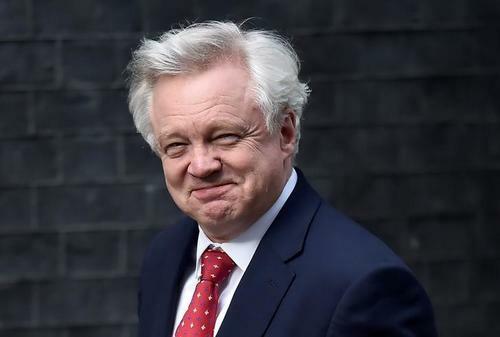 Reuters UKBrexit Secretary David Davis said British Prime Minister Theresa May was not sobbing over last week's failed election gamble when he met her after the vote, Davis said on Monday. 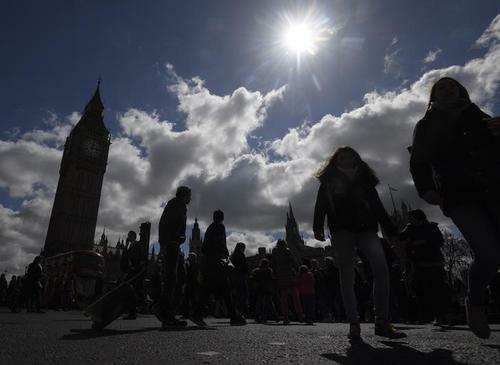 Reuters UKThe current political instability in Britain is likely to impact the country's economic growth this year, said Standard & Poor's (S&P) chief economist for the European, Middle East and African (EMEA) regions. 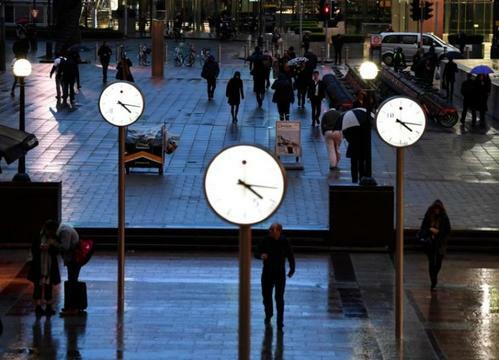 Reuters UKRatings agency Moody's said Britain's inconclusive election result is likely to delay negotiations about the country's exit from the European Union which could be negative for Britain's credit rating. 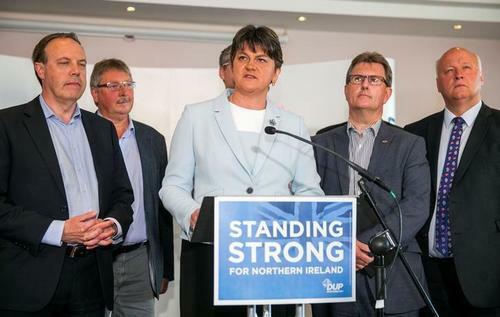 Reuters UKThe leader of the Democratic Unionist Party Arlene Foster will seek to strengthen the unity of the United Kingdom and get a good Brexit deal for Northern Ireland in talks with the Conservative Party, she said in a newspaper article on Monday. 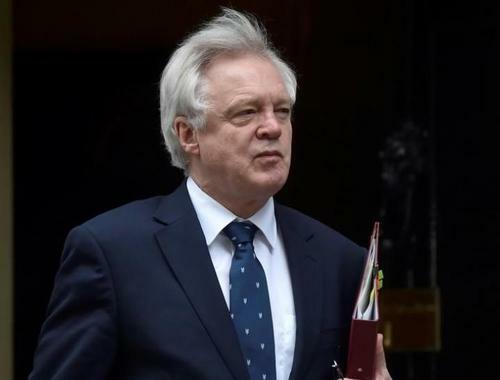 Reuters UKFormal talks on Britain's exit from the European Union may not begin on June 19 as that is the same date the government is due to set out its policy programme for the new parliament, Brexit minister David Davis said on Monday. 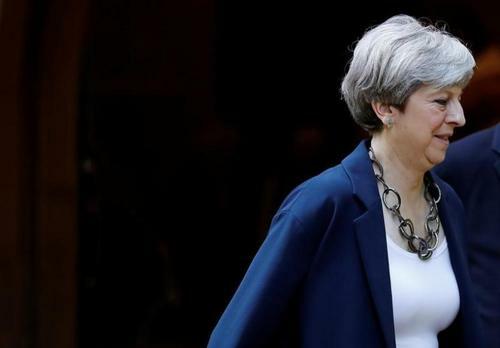 Reuters UKPrime Minister Theresa May will try to convince lawmakers from her Conservative Party on Monday that she should remain as leader after a disastrous gamble on a snap election that weakened Britain's hand just days before formal Brexit talks. Reuters UKRemaining in the European Union's single market is not likely to be on the table in upcoming Brexit negotiations, a senior lawmaker from British Prime Minister Theresa May's Conservatives said on Monday. 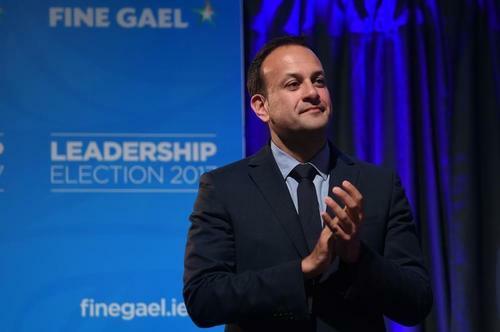 Reuters UKIrish PM designate Leo Varadkar said on Monday that Theresa May's failure to win a majority in last week's election might result in a softer Brexit, as it leaves her more dependent on lawmakers who would favour such a deal. 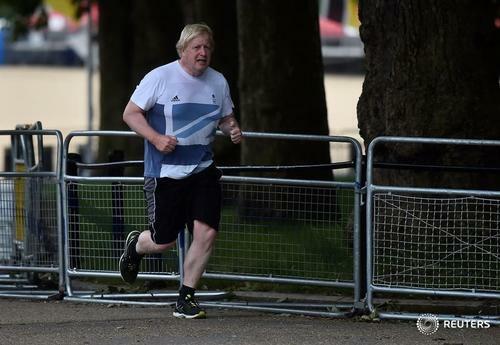 UK PM May's spokesman says progress is being made in talks with DUP. 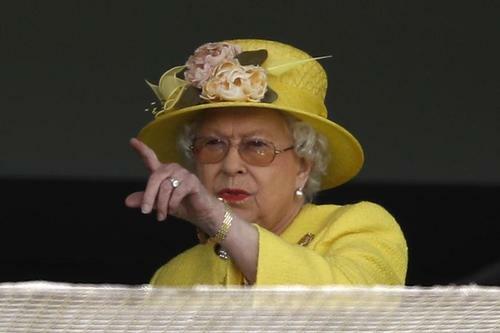 Reuters UKBritain's government will delay the Queen's Speech, in which it traditionally spells out its policy plans, because of the upheaval caused by Prime Minister Theresa May's failure to win a parliamentary majority last week, the BBC said on Monday. 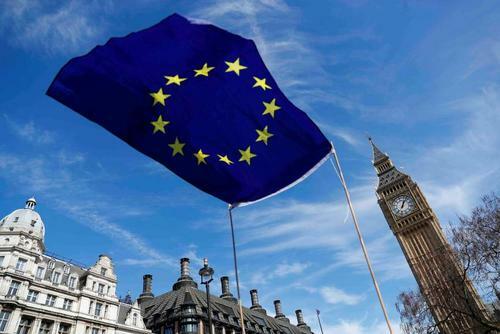 Reuters UKBritain's plan for leaving the European Union has not changed, Prime Minister Theresa May's spokesman said on Monday, despite an election last week which saw May fail to win a clear majority in parliament. 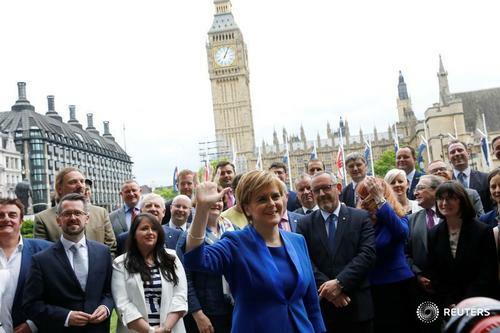 Reuters UKSupporters of a so-called hard Brexit have been left "dead in the water" by British Prime Minister Theresa May's failure to secure a parliamentary majority in last week's election, Nicola Sturgeon, the head of Scotland's devolved government, said. 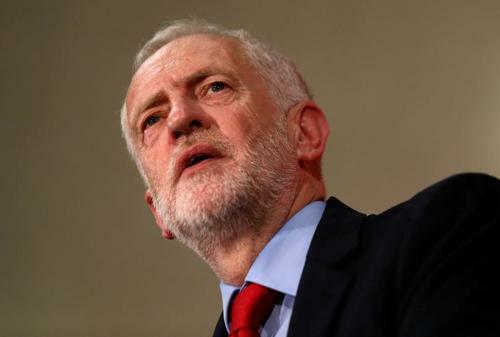 Reuters UKBritain's descent into political crisis just days before Brexit talks begin has sapped confidence among business leaders and infuriated bosses who were already grappling with the fallout from the vote to leave the EU.